Emboss your walls in a most beautiful facet. 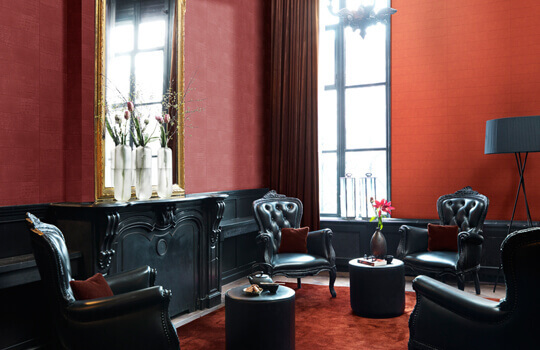 Leather wallcoverings offer realistic, sophisticated yet a remarkable traditional décor to your rooms. Leather bears historic identity. Leather has been used from ancient times on the walls of royal courts and rooms. Leather is still an integral part of high-class modern lifestyle. Leather wallpaper ignites charm and serenity to the living space. 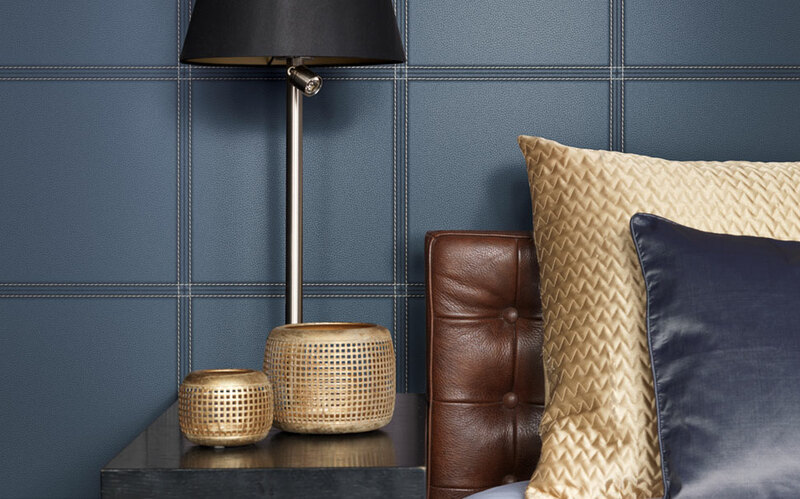 The grain and shade of leather wallpapers adjust warmth and elegance to offer a stylized space. The room and foyer look extravagant with leather wallcoverings. 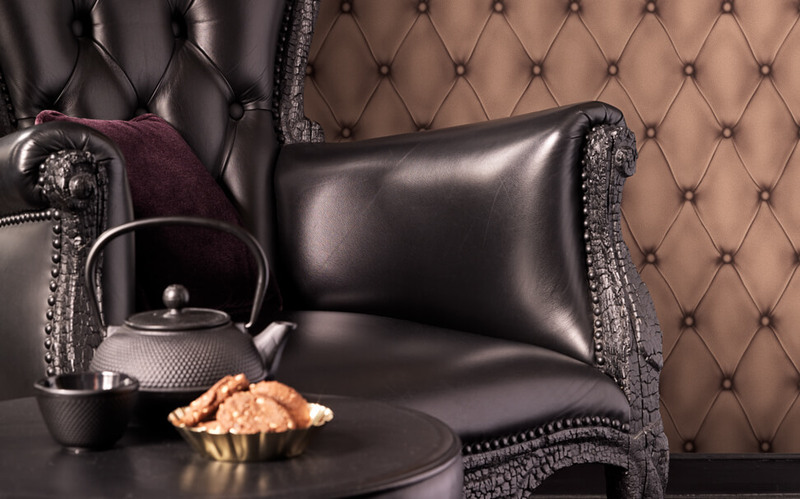 The wall with leather wallpaper offers comfort and style to renew the living experience. Your office and home space will always look appealing with leather walls. Dress it up with formal furniture for a work of art, to give a conventional look that works impeccably in a room or an office space. Add breathtaking aspects of interest to make a space that offers a craving for living inside. Choose from our varied leather colour options in red, white, brown or classic black.